Cadillac isn’t ruling out working with technology companies for advancement, but the brand’s president thinks it can do pretty well on its own. “I think that in the future there may indeed be a market for autonomous driving enabled vehicles that provide transportation from A to B, but that’s not the market Cadillac is in. We are a luxury brand we want to offer all of the benefits but we want to do it in an emotionally engaging way,” De Nysschen told CNBC in an interview at the Web Summit technology conference in Lisbon. de Nysschen also revealed the brand is working on a shared vehicle ownership model, but it will not be “brand agnostic”, as he called Uber and Lyft. “That is not quite Cadillac. 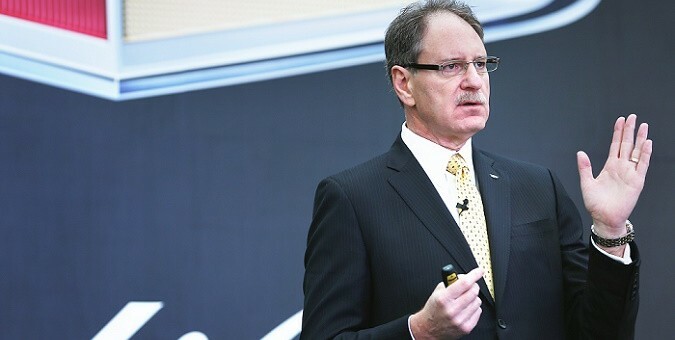 But it doesn’t mean that we can’t cultivate a product and a way of owning a Cadillac that allows people who want to move from A to B in the luxury of a Cadillac, has all the safety and connectivity benefits … That is some of the exciting things that our teams are working on,” he said. Please explain how a Buick Encore has more tech than a Cadillac ATS and is $10,000 dollars less?